Eat Slow Britain was my first book. It celebrates some of Britain’s best restaurants, pubs and organic producers — pig farmers, bakers, cheesemakers, veg growers, brewers and more. They are all passionate about the importance of producing delicious food without harm to animals, land, humans or the environment. The 88 stories, each beautifully illustrated with colour photography, are as inspiring as they are mouth-watering. Discover menus lovingly composed from local larders — Devon Red Ruby beef, hand-dived Lyme Bay scallops, Highland venison, partridge fresh from the Lammermuirs and porcini and chanterelles from Ashdown Forest. The book also includes introductions by Alastair Sawday and Patrick Holden (former Director of the Soil Association), information on the Slow Food movement, a list of useful websites and an essay by Eric Schlosser, author of Fast Food Nation. 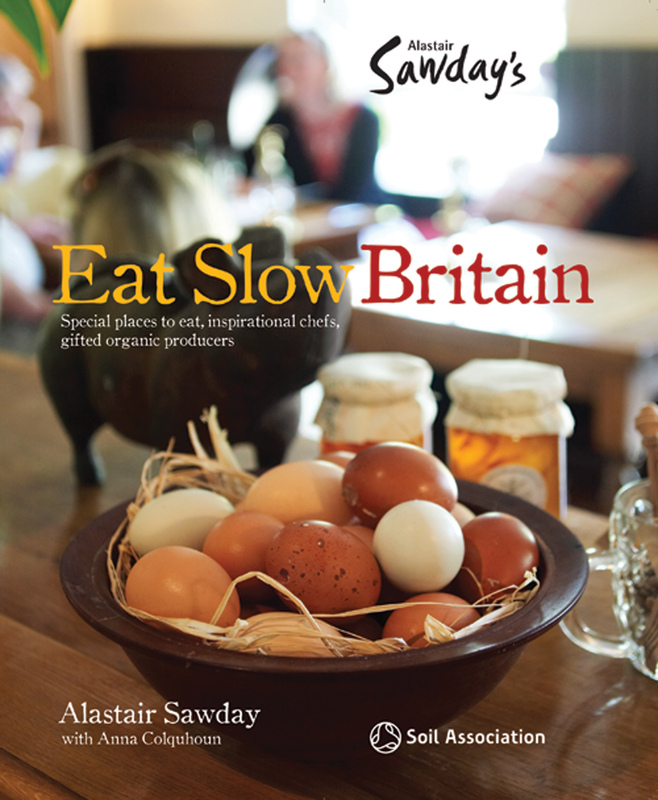 Eat Slow Britain was born in Greece, where my wife and I met the food anthropologist and writer Anna Colquhoun. She was travelling slowly through Europe with our books, wandering from one meal to another, chasing perfect Slow meals. Her insatiable appetite for authenticity has spilt over into this remarkable book. It celebrates the very best of food and the best of the people who grow it and serve it. Food matters, and how it is grown and made available matters even more.